Heist Night has been released! Choose your version and download it today! 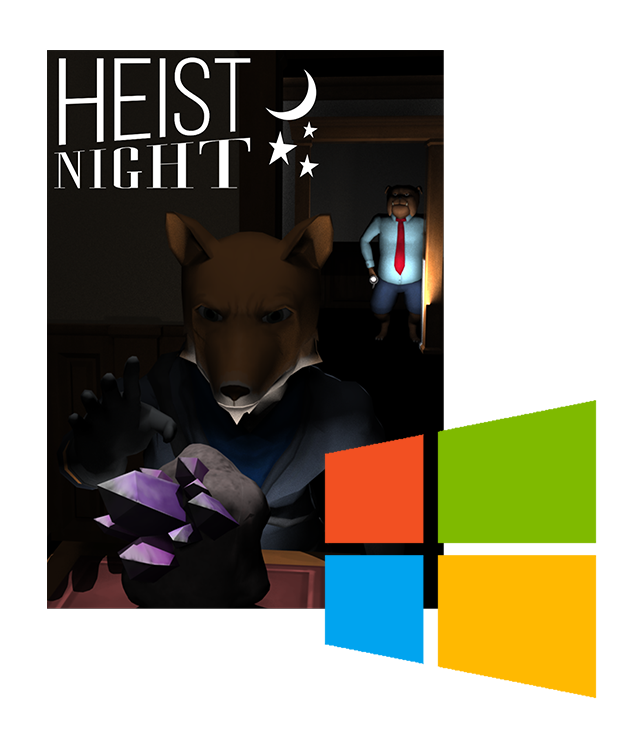 Heist Night is an 3D asymmetric multiplayer stealth video game coming to Windows, Mac and Linux platforms. Two players compete against each other; with each player having different objectives, resources and camera perspectives. One player in Heist Night will assume the role of a thief. Under the cover of darkness, the thief infiltrates a museum in an attempt to steal its valuable exhibits and escape with them. This player will play the game through a first person perspective. The other player will assume the role of the security guards. In order to secure the museum, the guards must search for the thief and apprehend him/her. This player will play the game from a bird's-eye perspective commonly found in traditional "Real-Time Strategy (RTS)" video games. 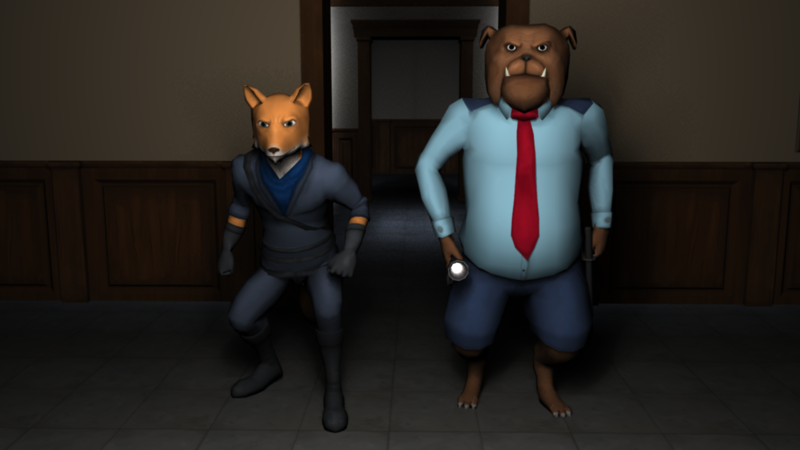 In January 2015, NHTV Team Fifteen set-out to create a truly innovative video game that combines the elements of hide-and-seek with the modern stealth genre. An asymmetric multiplayer game that had to be fair, balanced and, in the end, allow both players to experience moments of tension, but maintaining joy. 2 vastly different play styles in 1 game: first person stealth versus top-down real-time strategy. An immersive, original score arranged and composed by Mythili Mahendran. A moving connection with the opposing player. Heist Night is a video game developed in half a year (14 work days) by a team of 10 people varying from programmers, artists, designers and producers attending NHTV Breda University of Applied Sciences' International Game Architecture & Design. 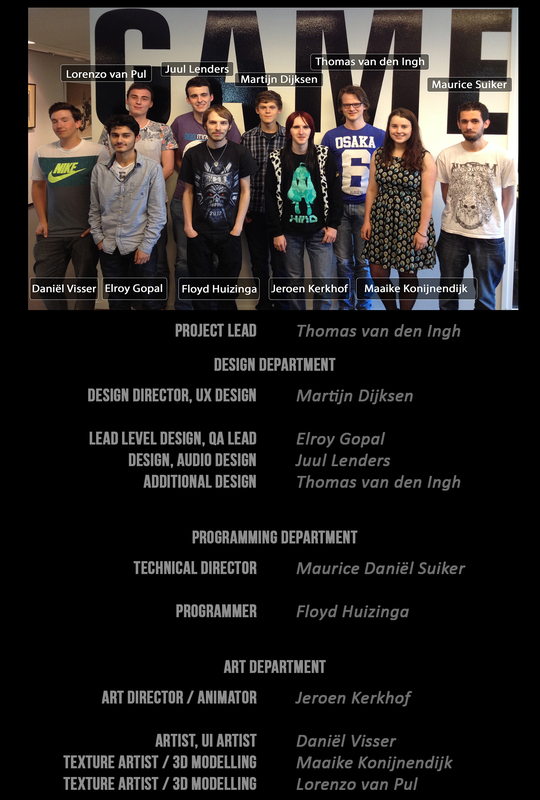 On the 2nd of July, 2015; Heist Night was awarded "BEST DESIGN" and "BEST CODE" at NHTV Breda University of Applied Sciences' biannual Game Awards Ceremony, in which it had to compete with ten other projects. Additionally, Heist Night was also nominated for "BEST GAME" and "GAME OF THE YEAR". The following is a fictional kickstarter video, which was another school assignment. WE DO NOT HAVE THE ASPIRATIONS TO SET-UP A KICKSTARTER FOR HEIST NIGHT. THE PROCESS OF MAKING A FICTIONAL KICKSTARTER VIDEO WAS PURELY FOR EDUCATIONAL PURPOSES. HEIST NIGHT IS, AND WILL REMAIN, FREE. We have been incredibly fortunate to work with British composer and musician Mythili Mahendran when creating Heist Night. The music for Heist Night was is an original score specifically composed for the game. It results in immersive and feedback-driven music that enhances the setting and the state of the game. 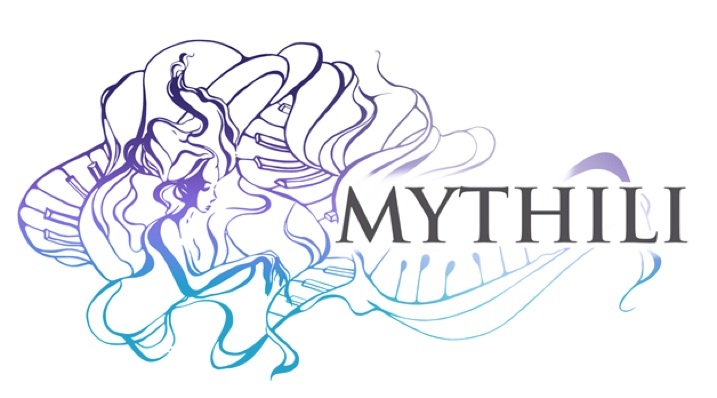 Mythili understood that music is not merely an ancillary part of a video game design, but that it enhances the experience in an emotional, perhaps transcendental and timeless way. Her trust, patience and dedication for “Heist Night” affected the way we attempted to realise our vision. Her vision became our vision… her vision is our vision…. Her music is “Heist Night”. Please take a look at her website and listen to her work. Listen to the official "HEIST NIGHT OST"
Arranged and Composed by Mythili Mahendran. 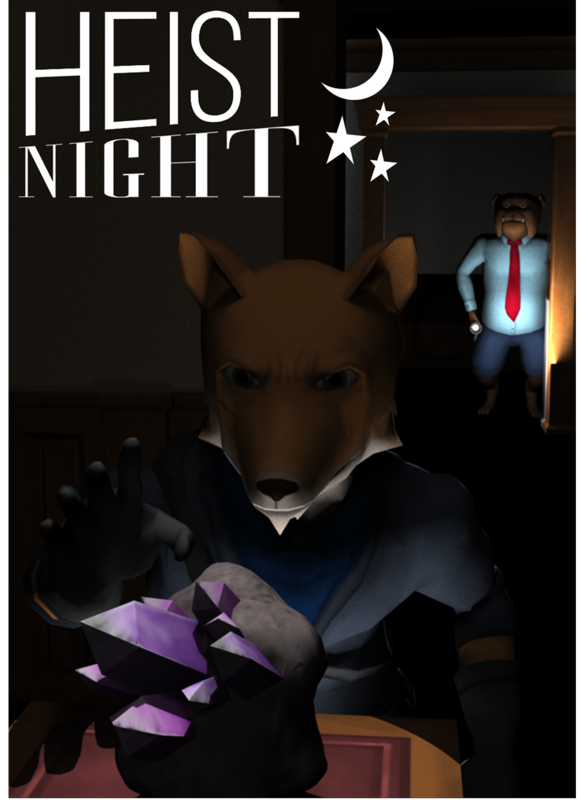 It has been almost three months since Heist Night was released to the public, and, fortunately, people have emotionally invested themselves by playing it-- stating they would like to see more in the future. Added a ''dynamic stamina regeneration'' system to increase player agency and enhance strategic decision-making. To corroborate this, an additional "sneak" stance has been added (hold control to activate). *Added an additional treasure in the level to reduce the chances of consecutively (as a thief) having to obtain the same treasure. Added transform interpolation and extrapolation to ensure the game remains reasonably balanced and fair in case of low-latency connections and packet losses. Minor changes in level design to improve overall flow and gameplay options. Baked and applied a higher quality light map. "Input IP address here" field is censored. Added a "text chat" option to facilitate text-based communication in-game (Press "Enter" button). Added a "randomise exit colours" option when hosting the game. We have read and listened to feedback provided by the players, and one of the most prominent issues present in Heist Night is it repetitive structure due to the limited number of maps and treasures available. Please note that during the initial development of Heist Night (as a student project), the most valuable and limited resource was "time." The team spent a lot of time on prototyping level designs with the intent of creating one strong level at its gold master release. Since then, Heist Night has been released to the public, and due to the project being continued outside of the net of academia, we have the opportunity to create more levels and release them to the public. There is no estimated time of arrival concerning these new maps, but we hope you look forward to these once they arrive. We would like to thank everyone that has played Heist Night in the past, those that are experiencing it for the first time and those who are still playing it on a regular basis. The reception has moved the members of the development team, and we hope you continue to be emotionally moved by Heist Night, its music and the experience that it attempts to provide. The following is a playlist of every person that has played Heist Night and recorded their experiences. We hope you will enjoy Heist Night, its upcoming levels and more. Be sure to track Heist Night on indie.db/games/heist-night to stay updated on the latest news. Choose your preferred OS and download Heist Night Update #2! Heist Night is now officially available for download on the Windows, Mac and Linux platforms. Heist Night wins "BEST DESIGN" & "BEST CODE".NOMINATED for "BEST GAME" & "GOTY"
This Game Guide aims to explain the core mechanics presented in Heist Night, and how we expect players to interact with these mechanics. The updated version of Heist Night. 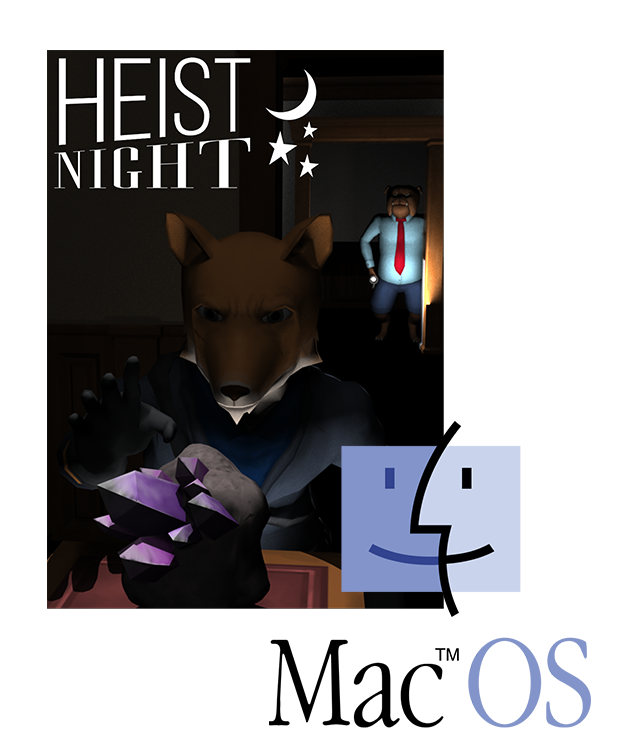 Download this if you wish to play Heist Night on machine running Apple's MAC OS X. The updated version of Heist Night. 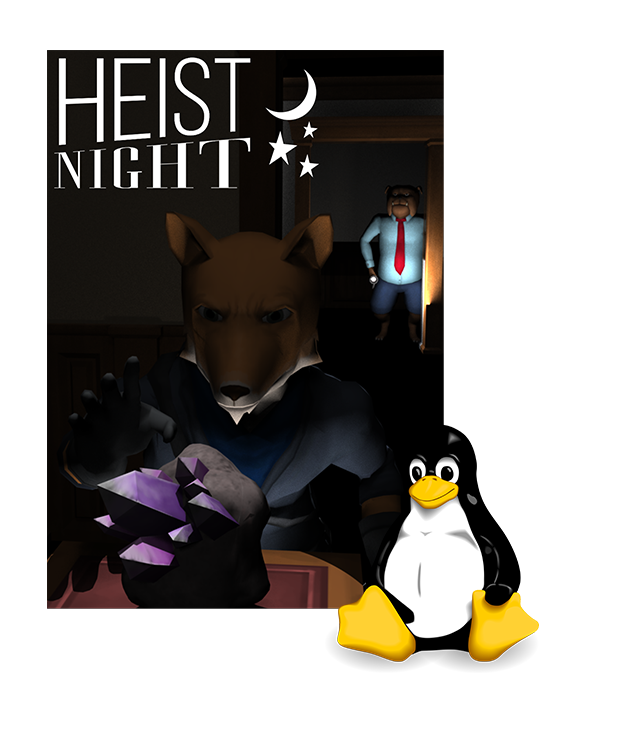 Download this if you wish to play Heist Night on a Linux-based system.